Foundation members have access to all content at a monthly membership rate. Whatever level you join, the fees are locked in as long as your membership does not expire. Platinum is a yearly membership level at a discount over monthly membership. Platinum members have access to all content and also receive early access to dripped content. Whatever level you join, the rates are locked in and won't increase as long as your membership does not expire. Silver membership is only for those over the age of 65. It is a special discount rate for seniors. Silver members have access to all content. Whatever level you join, the rates are locked in and won't increase as long as your membership does not expire. Gold membership is for seniors who are 65 years of age or older and is based on a yearly membership fee. Gold members have access to all content. Gold members also receive early access to dripped content. Whatever level you join, the rates are locked in and won't increase as long as your membership does not expire. Free Visitor Membership will allow you to view limited pages such as the blog, resource page, Begin Here page and take part in the General Forum. It is a very limited membership level. This membership will expire after three months. 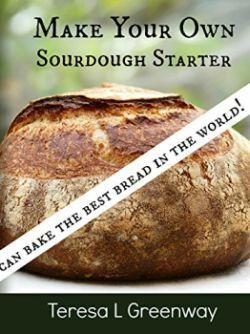 Final Proof – When is my Dough Ready to Bake? ...and receive a free e-book!